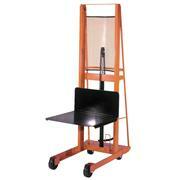 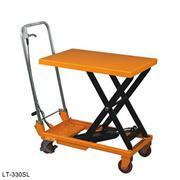 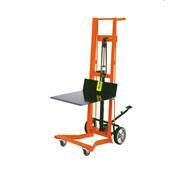 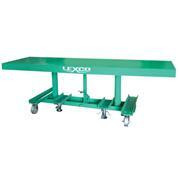 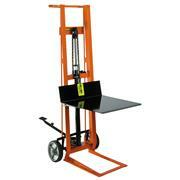 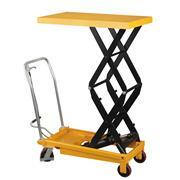 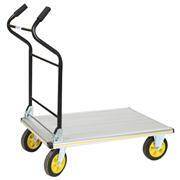 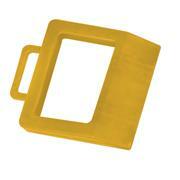 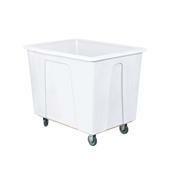 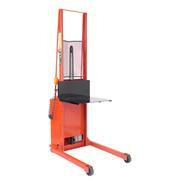 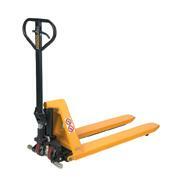 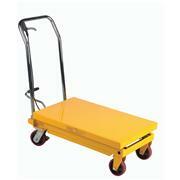 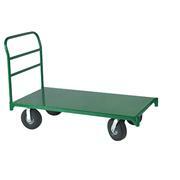 Rubber bumpers Made of a strong aluminum alloy, this fold-up cart can hold up to 330 lbs. 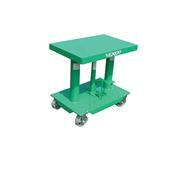 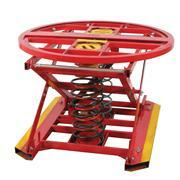 Platform can extend from 18” to 25 1/2” in length, width is 16” and weight is 18 lbs. 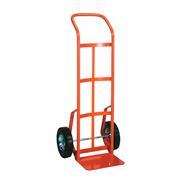 Supplied bungee cord secures load from slipping. 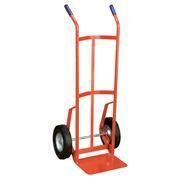 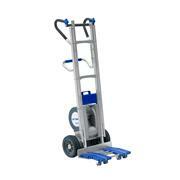 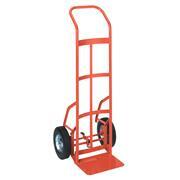 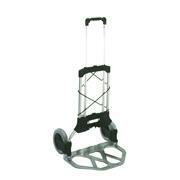 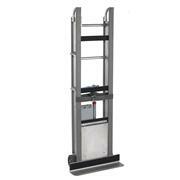 Folds to compact sizes for easy storage Lightweight fold-up aluminum hand truck holds up to 220 lbs. 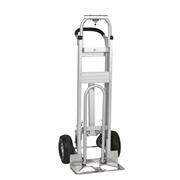 Made from an aluminum alloy, the truck weighs 15 lbs. 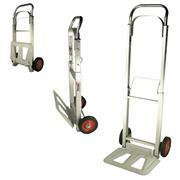 making it easy to maneuver. 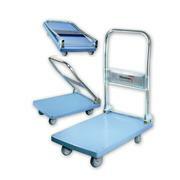 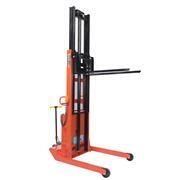 Steel, powder coat paint finish Deck dimensions: 48" x 30.25" 2 rigid, 2 swivel rubber casters - 4" x 2"
Front tip of nose plate touches floor Foot operated hydraulic pump raises platform, foot release lowers platform Wheel lock standard All 54" lifts are 60.5" O.A.H. 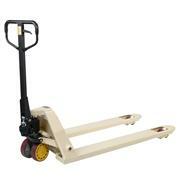 8"x2" wheels with .75" ball bearings. 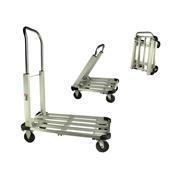 1/4" reinforced steel top and base 2 rigid and 2 swivel 5" diameter steel wheels and 1 floor lock Precision telescoping guide tubes. 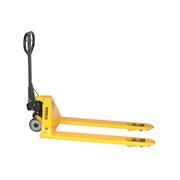 Weight: 3.4 lb. 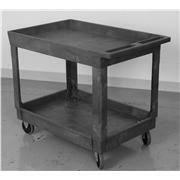 Dimensions: 11.75" x 2" x 14"
U.S. patent no. 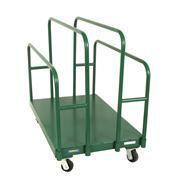 411,679 Space saving folding design. 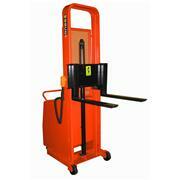 Fits into small storage spaces or car trunks Elastic straps for securing load Aluminum or steel construction Non-marking, shock absorbing, rubber tread tires.